The trust betrayed is marital, parent/child, doctor/patient, in a thought-provoking drama about the bonds between us – personal and professional – and the responsibilities we bear. Exploitation, dominance and manipulation should not belong in the patient/carer sphere, but here Susan Hill examines the difficult zone of terminal illness. Heavy rains and floods reveal first one skeleton, then another. The first is identified, the second is a mystery. Simon Serrailler must investigate, working almost on his own as police cutbacks see drug busts getting more staff than his investigative team. And then at what promises to be a dull evening, an official dinner at which he wears his police hat, he falls instantly in love: never a convenient time, for all sorts of reasons. In the midst of love at first sight we see a different Serrailler, not in control of the situation, distracted, wracked by longing. This is the sixth in the series, but unlike other crime series you can read these in or out of order. Of course there are references to long-running storylines – all related to the Serrailler family – which may pass you by if you read them out of order, but that will not affect your enjoyment of the story. 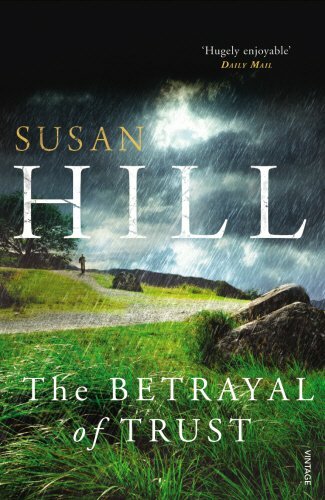 Susan Hill crafts her book well, as both stand-alone detective story, and long-term story arcs. But if you can, read from the beginning.